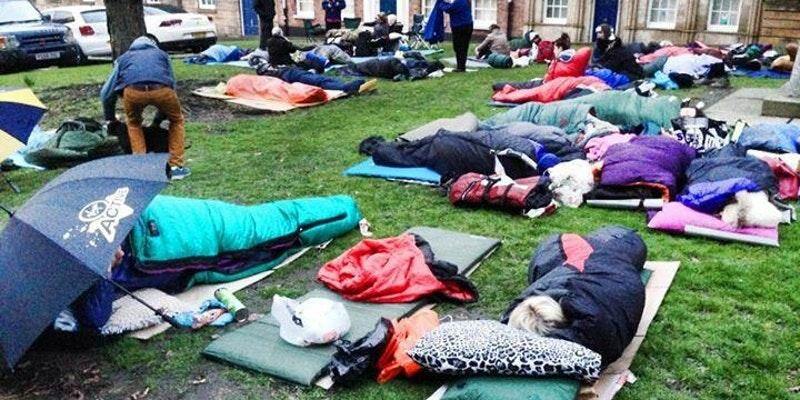 This is a unique experience of sleeping out in the centre of Sheffield. Are you up for the challenge? We create a safe environment next to the Cathedral where participants will sleep under the stars for the night. On the night you will gain a small insight into sleeping rough. Everyone that takes part leans something new and has a bit of experience of what it is like sleeping on the streets for just one night. This is also a great opportunity to raise valuable funds for our work with the homeless and vulnerable in Sheffield. We are asking everyone to raise a minimum of £150 in sponsorship.